Note: These goals are not made so I can check some self-righteous box; I make these little goals to help me in the larger, more nebulous aims—to know the Lord, to be more like Christ, to renew my mind. As humans we love to talk of doing grand things, but we don’t always reach for them with deliberation. These are just baby steps… little leaps toward a larger purpose. Goal#1: Spend a minimum of 10 minutes each day writing what I have learned from the Bible. For the past two years, much of my daily reading has consisted of listening to the Bible. Since I tend to be a speed-reader, I would often miss details in my reading because I would inevitably find myself skimming ahead to my favorite parts. Listening slowed me down. It took me about eighteen months (give or take) to go from Genesis to Revelation. It shouldn’t have taken quite so long, but I would listen to certain books or chapters multiple times because I found them confusing or because I wanted to meditate on what was being said. I loved it. When I completed Revelation, I tried a “plan” and found myself frustrated. I couldn’t meditate because I kept falling behind. I ditched my official Bible reading plan. Please do not misunderstand me—plans are valuable. My spouse just started one. Each of us learns and retains information in different ways. The crux of all this is to discover how you can daily read God’s word and dig in with all your energy. We read to become educated. We read to be transformed. We read to know the Lord. Find what works for you and devote yourself to it. In mid-October, I began working my way through Romans with one goal—to see what it taught me about God. I moved on to First and Second Corinthians. I listened to each book multiple times, but I didn’t always have time to write down my observations. The goal for 2017: set aside 10 minutes each day to review the passages I’ve listened to and write down what it teaches me about God and/or any pertinent lessons. If you’re curious, I started in Genesis again. I’m team-teaching the second and third-graders this quarter and we are studying—you guessed it—Genesis. It will likely take me all three months to hash my way through Genesis, but as long as I’m doing it every single day, I will be meeting my goal. I am also beginning my daily readings with a Proverb corresponding to the day of the week and a Psalm. I’ll be writing my observations on those as well. I hope to have read through Proverbs twelve times by the end of the year, and Psalms about two and a half. If you’ve been here awhile, you know this was my goal last year. I renewed my efforts mid-year, I tried listening to it multiple times, writing down chunks, but I fell far short of my goal. It was one of two goals last year that remained incomplete. I could make excuses about why I failed, but truthfully, I just didn’t make it a high enough priority. I did successfully memorize Hebrews 12.1-6, but I never made it to the end of the chapter. What are your plans for growing ever closer to the Lord in 2017? Please share and encourage us in the comments below! You have helped me more than you know I made the mistake of researching bible journals (which lead to bible journaling) then planners and stickers and decorating etc. I became so stuck on watching that,that I could not think to concentrate on the WORD. I’m fifty one I do need a more structured bible study plan not sure what to call it but simplified and you have helped me to focus more on a plan forming on my own. Sometimes, doing fun decorating can help. I like to write the verses I’m memorizing on index cards and decorate them. It helps me focus on the message. I do think simplicity helps create good habits. I’m so glad you found this helpful! Thank you for reading and commenting. An encouraging blog from a blogger friend. Great thoughts to start the year. God Bless. Thank You Elihu for another truthful, honest, informative, encouraging post. I reblogged, as well as sharing on fb, perhaps helping someone who is looking for, thinking of ideas. God’s Blessings. Thank you, George for sharing this post! God be with you. I plan to continue keeping a scripture journal and also my regular journal which helps me appreciate my daily blessings. One of my new goals is to study each gospel/scripture lesson on my own out of the manuals before they are given at church. That way I am more prepared to be taught and to share my personal insights with the class when appropriate. Excellent! Being prepared for class is awesome. Most of my classes lately haven’t had material, so I’ve just prepared in advance by reading the text we will be covering. May the Lord bless your endeavors. Thank you for sharing your goal with us! Thank you, Taylor! I think we all find ourselves trying to refocus. May the Lord bless you! Very well-written and timely blog post right here! Thank-you Elihu for yyour helpful insights and encouragement on goal-setting for 2017. I pray that as a Church Body, we may all draw closer to God through reading, meditating and applying His Holy Word! Peace and God Bless brothers and sisters in Christ! Thank you for the reblog! And Amen—may we indeed all draw nearer to God. I hope you are well! How is your new year so far? You’re welcome and it’s my honour to do so! My New Year is going really well do far, thank-you for asking. How about yours? Wishing you all the best with your goals! How are you doing your bible listening? Do you have a podcast or app that you recommend? Thank you, Stacy! I am hoping 2017 will not be full of catastrophic change like the past few years, so I anticipate my own weakness as my only hindrance… I am determined to persevere. I use the YouVersion app to listen to the Word. I usually listen to it first thing in the morning as I prepare for the day, and I do my ten minutes of reflections after lunch using my Bible. I listen to the ESV audio. I have been unable to find out who’s voice does the audio for ESV on YouVersion, but it is one of my favorites. The narrator uses just enough inflection and variation not to be monotone, but doesn’t get over-dramatic either. In my humble opinion, it’s a very good balance. Bible Gateway also has an app for listening to the Bible, but I’m not as huge of a fan of the narrating for the ESV. I hope that helps! I listen to sermon podcasts from time to time, but primarily my time is spent on audio bible and audiobooks via audible or overdrive. How is your New Year so far, Stacy? I’m taking my time through the book of 2 Timothy by using the SOAK method of journaling scripture which is an acronym for S-Scripture (write out each verse) O-Observation, write what I observe. A-Application, write how I can apply it. K-Kneel in Prayer. And I will also be memorizing particular verses of all four books of 2 Timothy. Thanks for your honesty and encouragement! Blessings on you as you strive to grow your relationship to the Lord by spending time in the Word and prayer each day. One of my long-time friends in CA is using the SOAK approach and she loves it. I was thinking about trying it next year. thank you for sharing your approach! I always appreciate your comments! The ever-present joys of the new year…I have but one goal this year that I developed through my non-traditional Christmas writing…I want to see God. All I must do to see God, is seek Him. He is not a God who hides Himself from us, oh no! He is ever-present and had been from everlasting to everlasting! Well, that and the fact He’s calling me to forgive…but, I know through that as well, I shall see God! Have you read A.W. Tozer’s, “The Pursuit of God”? He talks a great deal about God’s presence and seeking it. I love your aspiration. A few years ago someone said, “The primary reason we read the Bible is to know the Lord ever more.” When I heard him say that, something clicked into place in my brain. That statement was the inspiration for this blog and has supplied greater motivation and focus in my bible reading. “Let us press on to know the Lord,” as the prophet says. I want to see Him too! Amen to that! I haven’t read that book…yet! I will definitely have to add it to my list! I do know as I read the bible with the intention of seeing God (and not reading to put a check mark on the to do list) I am blown away! I love your idea about spending time to write about your reading everyday. There is something about hearing the word of God and writing about what it means to you…it helps to bring it to life. I think that causes your mind to dwell upon His words, especially if you meditate for a while and then write! What joy lies in discovery! Amen! Great goals! The 10 minutes a day writing about what you learned is great. Thank you for encouraging others to get in the Word! I can’t help but wonder if part of our nations problems are a direct result of taking other people’s word for what the Bible says! We’ve got to know truth to recognize falsehood and make sound decisions! Great read! Good New Years goals! G’day, first time visiting and enjoyed this post. Encouraging words as I work through how I want to approach 2017. This year I am keen on continuing a journey I started last year. Making some changes with my health and lifestyle(exercise and food) but am keen on being mindful of how that all fits with my spiritual journey and being more like Christ. 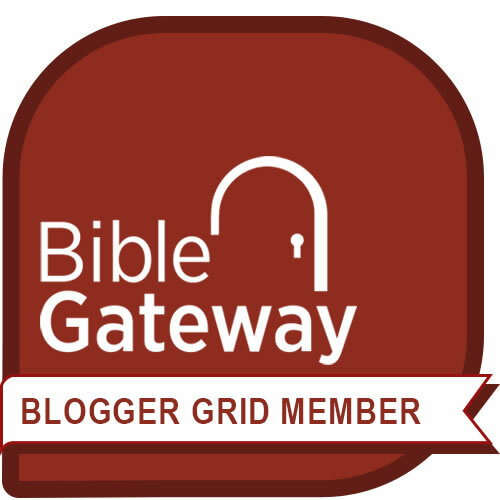 Apart from that I really want to continue blogging to encourage other followers of Jesus, so I am learning how to enjoy that process as well as looking for other bloggers who are doing the same. so here I am. I have other goals but that’s it for now. I am so glad you stopped by! I hope this blog is an ongoing encouragement to you. Thanks for the encouraging words! My plans for this year include drawing nearer to God, growing in faith and trust, and seeking wisdom so that I make good decisions and learn more about him.